Take a trip to Terraria land.... again. 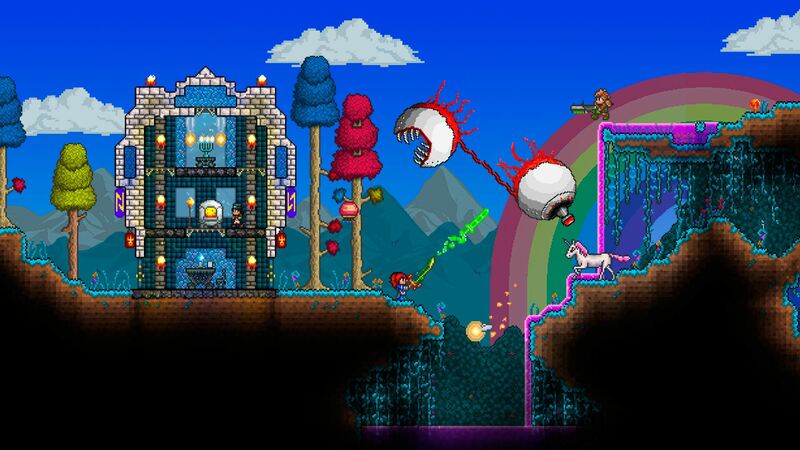 Terraria is coming to Nintendo 3DS with more of the same. Not that that's bad, because it's incredible that they're fitting all the wonderful myriad of features into one tiny package. Soon, you too can take your Terraria adventures on the road. To tide you over till then, a brand-new trailer has been released showing the game in action. Fighting, mining, and building all seem to work great, and hopefully they'll be some cool touchpad features added too. It's enough to make you want to start all over again, even if you've got hundreds of hours under your belt. No solid release date has been mentioned yet, but Terraria is tentatively scheduled for an early 2016 release on Wii U and Nintendo 3DS.